At the midpoint of last year, a Technology Evaluation and License Option Agreement (TELOA) was signed between EnWave Corporation (CA:ENW – $1.90 & US:NWVCF – $1.42 & GER:E4U – €1.29) and Fresh Business Consulting S.L. (FBC), to enable the testing and development of premium food products using Radiant Energy Vacuum (REV) processing technology. This deal was remarkable in that it involved a multinational marketing company with a competitive strategy to establish branded food products in Peru. EnWave maintained its winning streak through 2018, securing a number of high profile deals in a variety of sectors, and perhaps investors may have lost track of the story with FBC. But now the progress made from the original TELOA agreement has led to a successful business partnership, as EnWave reported this week that a commercial royalty agreement has been secured. A smaller REV machine had already been installed at the FBC facility in Lima, Peru on a rental basis under the terms of the TELOA. 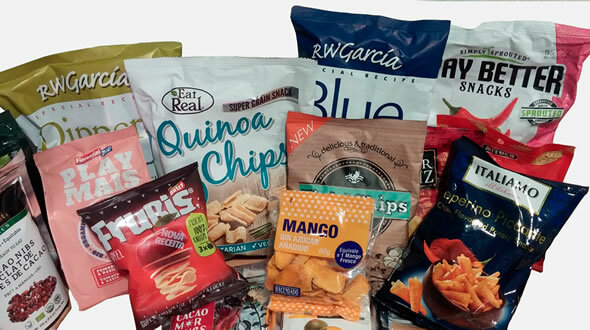 As part of the licensing deal reported this week, FBC has now purchased this smaller unit to commence production of a line of REV dried fruit and vegetables, both for the retail consumer market, and as premium ingredients for the creation of other food products. Exclusivity for this purpose has been granted to FBC within Peru, in consideration of a royalty payable to EnWave on the sale of all production using REV technology. In addition, to maintain its exclusivity, FBC has agreed to purchase at least one more REV machine of 100kW by July 31, 2019. Assortment of products that Fresh Business Consulting already successfully brought to the market. Operating in Peru provides a natural advantage for FBC with access to a diverse agricultural base to source raw materials for its food products line. FBC will now move forward with the objective to establish commercial production in Peru, and plans to begin exports to Europe and North America. The fact that FBC has agreed to purchase a large REV dryer within 3½ months in order to keep its exclusive license, indicates that it has already lined up meaningful clients in Western markets for its REV products. More meaningful royalty payments related to this expanding production outlook may then begin flowing towards EnWave. The arrangement may also lead to additional business opportunities as EnWave and FBC have agreed to work together, actively seeking other partnerships within Peru for REV processing technology. FBC has built its business on delivering new products through technological innovation, so this strategy to collaborate and make further inroads for REV technology in Peru is more likely to achieve results with the benefit of local knowledge and contacts. Based on preliminary discussions with FBC, several good prospects are in the pipeline within the country for potential business deals to utilize REV technology. Any subsequent royalty payments arising from this arrangement would be shared between FBC and EnWave. Several partnership agreements achieved by EnWave have come as the result of enabling a phase of testing and development with prospective clients through the TELOA process. REV technology has proven to be effective for a wide range of processing options that have led to the development of entirely new products, or to more efficient processing for existing products. This latest agreement with FBC is therefore yet another successful outcome where the testing of REV processing has led to a long term commitment, including the sale of at least one machine and a longer term royalty-bearing license. The choice to expand the nature of the partnership beyond the royalty-bearing license agreement, to include the collaboration between the two companies to promote REV technology in Peru and actively seek out new business relationships, is more effective for EnWave to continue its strategy for international expansion. This has already been demonstrated in a similar relationship with Tilray Inc. to promote REV technology for processing of cannabis plants, which was a contributing factor to the decision by The Green Organic Dutchmen to complete the largest purchase of new REV machines in the history of the Company earlier this year. The deal with FBC represents a faster track to recruit new partnership deals in an important international market. EnWave expects the steady flow of new licensing deals, and equipment sales, to continue throughout 2019 as the Company builds on a record year. This success is an indication of the maturing business model as REV technology is now becoming established in so many different sectors. As the machine sales continue to increase, EnWave is able to generate revenue growth for the short term. Meanwhile, the combined inflow of a growing roster of royalty deals with established companies operating in multiple sectors and active across a wider spectrum of international markets, builds a diversified platform of long term revenue growth for shareholders. Smallcaps Recommendation: BUY.